DO SOMETHING EXTRAORDINARY, BECOME A VOLUNTEER! At the Volunteer Centre Chesterfield and North East Derbyshire, we know volunteering changes lives. Those of the people we help, and those of the volunteers with whom we work. We believe that volunteering is integral to delivering and supporting a diverse range of services and activities that enrich communities. Volunteering builds community capacity and helps to create cohesive, resilient communities that are better able to meet the social and economic challenges they face. The Volunteer Centre is urgently looking for new volunteers to join our Safe & Sound project. This is one of the easiest and most effective ways of volunteering. All that’s required is that you agree to accept details of one-off tasks required by people in genuine need (simple DIY, accompanying to an appointment, a lift to a relative etc.). Then, only if you are able to help, let us know and we’ll make all the arrangements. All out-of-pocket expenses (such as petrol) will be reimbursed. The Volunteer Centre is working in partnership with Macmillan Cancer support. We are looking for volunteers who can support people who have a diagnosis of cancer: as sometimes, during illness, treatment or recovery, the smallest task can seem overwhelming. Like the Safe & Sound project above Volunteers can help in a number of ways, from befriending people, shopping, dog walking, transport to a doctor’s appointment, ironing, gardening or general DIY tasks. No offer of help is too small- even 1-2 hours can make a big difference, and there will be lots of one off help request too, so you needn’t feel tied down. We provide support and expenses. Here at Barnardo’s Chesterfield we accept volunteers from the age of 14 years, each volunteer is required to fill out an application form and to supply two references. Once we have this information we then arrange for a start date. We then give the volunteer a tour of the facilities and a brief description on how each job is performed. Once this is all sorted and the volunteer understands all information and signed all appropriate paper work we then ask the volunteer which job they would like to start doing. Either the manager/assistant manager/key holder or a long standing volunteer will then be given the task to give in detail of the job in question and to be a mentor as such for the new volunteer for the day. We have facilities for volunteers to have lunch and a hot drink if required. A toilet is provided also. There is an area for people to smoke. We have parking facilities either around the rear of the building or at the front. We gratefully appreciate any volunteer that comes in either for a few hours or all day, there is not a time limit on how many hours that need to be given. Do you like to help others? If you are happy to chat on the phone and support people by giving information that can make all the difference to their lives, this could be the role for you. We provide induction training and ongoing one to one support to make sure you are ready and able to pick up the phone to talk to people who need your help. The helpline is open 9am to 5pm, on weekdays, and we prefer to split that time into two ‘shifts’ (usually 10am-1pm and 1pm-4pm) – though we can be quite flexible about timings. This is based in Sheffield and receives over 4,000 calls and 1,000 emails every year from people seeking advice and reassurance. The topics we cover include information about the condition, how to deal with symptoms, how to cope with the effects on people’s lives and the best way of accessing support and help quickly. Our Gardening Group need volunteers! We are actively looking for new volunteers. We meet, usually on the second Saturday of the month, from 10am – 12.30. Meet at the Tool House. All tools are supplied and no great gardening knowledge is required, just an enjoyment of being in the open air in fabulous surroundings. Tasks include sweeping paths, removing invasive bramble and seedlings of buddleja, ash, holly and other trees from among the graves and maintaining the island flower beds and tubs along The Terrace. All that is required is that you wear sturdy boots and bring your own gardening gloves, and a drink as we usually have a break to discuss progress at 11am. We launched our community garden in 2017 – and a year later it WON “The Most Inspirational Project Award” (out of 155 entries from 6 Counties), at East Midlands in Bloom. We are looking for extra volunteers this year to make sure we retain out Award ! We now also have our own Community Hub (about 100 yards away from the garden) so we now have toilet / kitchen facilities readily available. We will be doing various “odd” mornings and afternoons in April / May & June and then at the end of June a full day to make sure everything is in order. At FareShare East Midlands we work with the food industry to rescue surplus in date food from landfill and redistribute to over 250 frontline charities across the East Midlands whose beneficiaries are in or at risk of living in poverty. We need Volunteer Warehouse Assistant’s to join us in our Warehouse at Holmewood Industrial Estate. Can you spare a few hours each week to help us get much needed surplus food to local charities and community groups in the Chesterfield Area? You will be picking, packing and stacking the daily deliveries of fresh food we receive from our food partners ready to go to local charities and community groups. It’s good fun and a great work out… all you need is a sturdy pair of hands! The Terminus Initiative is an amazing charity originally founded by local churches in Lowedges (a very poor neighbourhood on the Southern edge of Sheffield). Our mission is to meet the emotional, physical, and developmental needs of the community here. We run lots of different community support through our health living centre, befriending schemes and youth outreach but our ‘front door’ is Terminus Cafe, which is a community hub and charity shop selling healthy food and homemade cake at affordable prices. We have a lot of service user volunteers who need helping to learn skills and are looking for more able volunteers to support them. We are looking for kind and competent people to support our volunteers in running our community cafe and shop. Supervisors and assistant supervisors will learn about food safety, ensure hygiene standards, operate the till, make basic meals (sandwiches and baked potatoes), and support the service user volunteers to help with these tasks plus help them find pride in doing their own tasks well. We are looking for people who are supportive, friendly and reliable. Ideally you will have some background in volunteer support or food hygiene but this is not essential. Due to insurance our volunteers need to be over 18. We have a disabled access toilet and double doors. We provide reasonable travel expenses and meals for those working double shifts. We provide food hygiene level 2 training, an induction, and an invitation to our Christmas party, trips to the seaside and other treats we provide for our service users. We are a friendship and dating agency for adults with learning disabilities and Autism. Around 8 events are held in the Sheffield area every month. These range from meals out, crazy golf, bowling, cinema trips and much much more. The organisation aims to help people to gain more confidence and friendships through meeting regularly and enjoying new activities. Currently the Project Development worker (Nicola) runs 8 events per month in the Sheffield area. Between 6-10 members attend each event. Meals out, bowling, cinema and museum trips (The list is endless and new and creative ideas are always welcome) With the help and assistance of volunteers working alongside Nicola more members can access each event. The role involves helping out at the events and overseeing the safety and well -being of our members. That can range from supporting them to order and pay for food, helping to add up the scores at darts, chatting to them or simply cheering them on when they get a strike at bowling!! The times of the events are all advertised monthly on a flyer which the volunteers receive well in advance so they can see which ones they may be able to help with. Each event usually last 2-3 hours, although sometimes we may go out for the day. Most are day time events and vary month to month on which day of the week they occur. There are usually a couple of events during the evening and one on a Saturday or Sunday each month. Even if a volunteer can only help with one event each month, it’s still really helpful and always appreciated. Contact the Elderly is a national charity that changes the lives of lonely older people. Our Sunday afternoon tea parties are a lifeline of friendship bringing older people and volunteers together for an afternoon of stories, laughter and conversation. Group coordinators make sure everything runs smoothly. Every month they: Phone the host in advance to confirm the date and give an idea of numbers attending. Communicate with drivers so that everyone knows who they will be collecting. Ensure all runs smoothly on the day. Coordinators are usually drivers as well. Drivers use their own car to take one or two guests with them to the tea party every month. Coordinators are happy to take on the responsibility of running the group. Coordinators must be organised and good communicators, reliable and approachable. You must have a car and, if you are to be a driver as well, be willing to use to take members to tea parties. You must also have a clean driving license and valid insurance. Drivers use their own car to take one or two older guests and accompany them to a tea party one Sunday every month. Drivers also usually phone the guests they will be collecting a few days before the outing to confirm what time you will pick them up. You must have a car and be willing to use to take members to tea parties. You must also have a clean driving license and valid insurance. Coordinators and drivers must provide two character references and have a DBS (police) check which the charity covers the cost of. Drivers must be physically capable of offering minimal assistance to more frail guests as they leave their home and get in and out of the driver’s car. We do not cover costs for our hosts and drivers. Hosts welcome a small group into their home for tea just once or twice a year. They provide an afternoon tea for the group which usually includes some sandwiches, a bit of cakes and lots of tea. Hosts need to make sure that everyone gets a warm welcome! Hosts need to be welcoming and flexible. They also need a suitable home which is safe and has easy access and a downstairs toilet. They must be able to comfortably sit between 6 and 8 older guests. Breast Cancer Care are currently recruiting volunteers to help at the Pink Ribbon Walk at Chatsworth on Saturday 15 June. Venue marshal team; Welcoming walkers to the event, supervising the car park and helping to guide walkers around the venue. Registration team; registering walkers in on arrival and signing them back in when they cross the finish line. Information & gift team; providing information and directions for friends and family of walkers and selling Breast Cancer Care merchandise. Main marquee team; Handing out pink ribbons for people to write messages on and helping walkers swap T-shirt sizes. Route team; marshalling the route or handing out water and refreshments to walkers at the rest stops. Finish line team; marshalling the route or handing out water and refreshments to walkers at the rest stops. At Cadets it’s all about fun, community and developing your skills. You can learn first aid, earn your Grand Prior Award and volunteer within your community alongside our First Aid volunteers. We are looking for enthusiastic individuals as Youth Team members who are keen to develop their own skills whilst supporting the development of our young people and helping them to learn how they can help and care for others in the community. As one of our Cadets or Badgers youth team volunteers, you’ll be trained to provide our young people with both life skills and life saving skills, all while having fun! This is a flexible volunteer role. Whether it’s once a week or once a month, you can volunteer as much or as little as suits you and your lifestyle. Matt, a Youth Leader, talks about what it’s like volunteering with St John Ambulance. He explains how he helps to inspire, support, and empower young people to deliver first aid in their community. Sight Support Derbyshire is an independent charity, which needs to raise funds in order to provide services for blind and visually impaired people around the county. Although some of our money is raised through grants, individual donations and legacies, a large effort goes into fundraising events throughout the year. What you will do: You can get involved in many different ways and do as much as you like. You can help to set up our fundraising table with tombola prizes, cakes, books and information, sell raffle tickets, cakes, books and cards, you may wish to give a few hours to help out with a street or supermarket collection or perhaps you can help with some of the organising and the running of events. You can also help in the office by making some phone calls and emailing. When: You can give as much time as you like with hours to suit you. Skills Required: Good communication skills, Confident with handling cash, a good sense of humour and happy to help wherever on the day of an event. You may need to find your own transport to and from events. If helping in the office you will need to have the skills to send out emails. Training and Support: We will give you visual impairment training and training specific to the tasks you will undertake. A member of staff will support you throughout and will meet with you on a regular basis to see how things are going. Expenses: We will reimburse your out of pocket expenses in line with our expenses policy. Before you start: You need to provide us with the names of two people who can provide a character reference for you. This is an excellentopportunity to help enhance the quality of life for visually impaired people throughout Derbyshire. Sight Support Derbyshire (SSD) has been in existence since 1914 and was originally set up to support blind children and young people across Derbyshire. With the onset of the First World War the organisation went on to provide essential services for soldiers returning from war who had experienced sight loss. It is a company limited by guarantee and a registered charity. Its aim is to enhance the quality of life of people who live with visual impairment by providing a range of high quality, person centered services throughout Derbyshire. SSD has 29 staff, 100 volunteers and an annual turnover approaching a million pounds a year. The Board of the Trustees has the legal responsibility for the organisation and its work. They decide the strategic direction and major policy and financial issues and employ staff who undertake the day-to-day work. We currently operate a range of services across Derbyshire. Some of the services are funded by statutory organisations (such as the local authority) others are from grants (such as the National Lottery) and as a registered charity a large portion of what we do is from our own fundraising. Our services include: hospital services; visually impaired peoples information programme; rehabilitation services; home support service; mobile resource centre; sports and leisure activities; resource centers; children and young people’s service. The Role of a Charity Trustee. Our Trustees are responsible for controlling SSD governance. They are responsible for ensuring that the charity’s resources are used for the purposes set out in our governing document (constitution) and for no other purpose. Trustees have a responsibility to act reasonably and prudently in all matters relating to the charity, and have a responsibility to act in the best interests of the organisation. Above all, our trustees need to work together as a team to ensure the charity is run effectively and efficiently. We are always keen to recruit trustees who can bring new skills to the board. Meetings for trustees are held approximately six times per year near SSD main offices in Derby and usually in the afternoons (2-4.00pm). In addition we hold a number of organisational events throughout the year, often connected to our fundraising and volunteer functions and Trustee participation is encouraged. Trustees are volunteers, but travel costs and reasonable expenses will be reimbursed. We recognise that becoming a trustee can be demanding but we believe that it is also worthwhile. It provides an opportunity for you to share and build your skills, experience and knowledge and to contribute to the wellbeing of the community. Qualified and looking to gain specialist experience in complex trauma work and to increase your hours. Currently in your second year or beyond of ongoing training and you have some client experience or other relevant experience. – Then we would love to hear from you. We are looking for a minimum commitment of 12 months. A professional and supportive working environment. Opportunities to gain experience in specialist work with survivors of sexual abuse and trauma. Ongoing mentoring and monthly group supervision. Funded places on specialist trauma training events and CPD. Access to a comprehensive specialist library. We are looking for a gardener to tidy up the beds around the centre, prepare the poly tunnel and general garden, ready for the spring. We are also looking for a volunteer to work in the Fairplay Gift Emporium in Chesterfield on Monday/Saturday. Opening hours 10-3pm. Selling new and handmade items. Training will be given. Do you want to change the lives of people living with cardiovascular disease in Chesterfield? Do you want to help fund lifesaving research which has already saved thousands of lives? The British Heart Foundation Fundraising team would love your support. We need passionate people to support our fundraising. We’re looking for people with great organisational skills to join a fundraising group and arrange events in their local area. You should be well connected and confident enough to rally support from the people around you. Do you have the drive and passion to become the face of the British Heart Foundation in Chesterfield? If this sounds like you, please get in touch! Fundraising volunteers should be over 18. Fundraisers need to be confident, chatty, passionate and self-motivated. Fundraising can be tough but it’s incredibly rewarding so a sense of humour and a resilient nature will help! Team work and the desire to get to know others are essential attributes if you are to succeed. Previous experience is desirable but not essential. A Butterfly Survey Volunteer assists in the monitoring and recording of butterfly species along give transects on the estate and recording them on paperwork provided in line with national monitoring systems. “Wow!” “What an amazing place!” Can you share your passion through our stories and inspire people? We are looking for lively and enthusiastic volunteers to support our visitors to have a brilliant experience at Hardwick and to create lasting memories. We are looking for someone who can provide a warm and friendly welcome to all our visitors to our lower park and ponds. Supervising fishing on the ponds, collecting fees and helping with a variety of other tasks to protect and improve the environment. We are looking for people who can provide a warm and friendly welcome to all visitors to our plant shop, especially at the weekend. Sharing your passion for gardening with our visitors, helping people to find just the thing that they are looking for. Everyone likes a bit of retail therapy, don’t they? Retail Assistants offer this vital service to all visitors to Hardwick? They love helping people find just the thing they’re looking for, and helping us achieve our sales target, so everyone’s happy! Enthusiastic about sharing your passion for books whilst fundraising for Hardwick? Come and join the Hardwick Second Hand Bookshop team! You will be a vital part of our retail operations team and the money you raise will help to look after Hardwick. We are looking for Volunteer Catering Assistants to support the Catering Department at Hardwick Hall; with particular emphasis on helping in our outside catering outlets (kiosk and trailer) on busy days. To help the Ranger team produce wooden items to be sold in the stable yard shop. Roll out the red carpet and give a warm welcome to visitors to the house! Provide important information to visitors so that they can make the most out of their day. Visitor experience volunteers are multi-tasking superstars who can brighten up even the rainiest day! We are looking for volunteers in various activity sessions in Chesterfield Childrens Centre’s. Below is the Volunteer Weekly Activity Rota, highlighted is where we have opportunities. Group support volunteers help to inform, educate, support and provide structured activities with defined outcomes for attendees in a relaxed and safe group setting. We are looking for enthusiastic volunteers for our various groups in Chesterfield and Dronfield. You will provide support to the group leader to enable people affected by dementia to engage with and socialise with other group members or participants in a welcoming and non-judgemental environment. Carers Support Group Second Friday of every month, 10am–12pm in Chesterfield. We are looking for adults who wish to gain experience in working with children and young children on a variety of nights. We would like a commitment to one night a week but this is not necessarily on a weekly basis as we can be flexible. Activities involve supporting the young people and also helping them develop. We complete such activities as games, singing, craft, holidays & fun days amongst many other things. Volunteers should register their interest on our national website https://www.girlguiding.org.uk/ and if you have any queries please do contact us via phone or email. The volunteer must be over 18 and wishing to work with children and young people. This can be on a flexible basis but usually once a week in term time. Activities will normally run on an evening or weekend. We can usually find a unit to suit your commitments. Monday – Whitwell and Bolsover Clubs 7 – 9pm and 6.30 – 8.30pm respectively. Tuesday – Fun Sports club at the Arc in Clowne 9.45 – 3.15 – Pinxton Club 7 – 9pm Wednesday – Chesterfield and Clowne Clubs 7 – 9pm. We also have a opened a small café/sandwich takeaway from our office in Clowne and we are desperately looking for volunteers to help us run it alongside our members with learning disabilities. 9 – 2 Monday – Thursday 8.30 – 3pm -Friday. We’re the MS Society – a community of people living with MS, scientists, campaigners, listeners, organisers, ambassadors and fundraisers. Our volunteers are a key part of achieving our goals and their support is vital. Join us. 13,000 people affected by MS accessed information, support and services delivered by volunteers through our network of local groups in 2015. Our local networks organiser roles are vital to ensuring this support is available to MS communities throughout the UK. We can support you to develop the skills you need for this role, including an induction into all the areas outlined. You will have a chance to discuss your role and any additional needs with us. Volunteers support us with a wide range of local activities including supporting deaf and hearing impaired people by providing advice and support about equipment and the support which is available including demonstrating some of the equipment. Volunteers may also be involved in helping set up and organise local peer support groups and training in lip reading, sign language and IT or anything which would support people with hearing loss. The volunteer should have clear communication skills when meeting people from all walks of life and of all ages including children. They should be patient and display empathy with people who are experiencing difficulty in communicating. Training on the equipment available to deaf people will be given with the expectation that they will then be able to pass that knowledge on. The correct person for this role is reliable and committed to supporting the service. They will have anything from a couple of hours a week to a few hours a month to spare. We are looking for a volunteer to run or assist to run a Cub section of 3rd Holmesfield Scout Group. Cubs are aged 8 years to 10 years, male and female with approx 30 members. They meet weekly on a Wednesday evening at 7.15-8.30pm term time only. We would like a volunteer to have a weekly commitment but we can accommodate a volunteer who can volunteer every 2/3 weeks. This is role is for over 18’s and we can offer training. By volunteering as a Telephone Friend for The Silver Line, we match you to one of our Silver Liners (older person) that you call once a week. Did you know? In the UK, more than 1 million people aged over 65 say they often or always feels lonely. We have 300 older people waiting for a Telephone Friend. They have chosen to be called our Silver Liners. Silver Line pays for the cost of all friendship calls and for safeguarding we also record the calls. In the time it takes to read the paper, watch the news or take a trip to the shop, you can volunteer with The Silver Line. A regular 30-minute call from a friend really can change the life of a lonely older person. By volunteering as a Community Engagement Volunteer you will help us raise vital awareness of The Silver Line in your local community by giving talks, presentations and attending events on our behalf. This is a volunteer role that you undertake in your local community. All you need is access to a telephone and the internet. We ask for a commitment of up to a year where possible and the ability to allocate 60 minutes each week to this role. Community Engagement Volunteers need to be proactive in looking for opportunities to promote The Silver Line, be open to attending events we have been invited to go to, and share our enthusiasm and passion for raising awareness of a service which provides such a vital lifeline to so many older people across the country. By volunteering as a Silver Circle Facilitator you will support a weekly telephone friendship group – a Silver Circle – for up to 6 older people each week. This is a volunteer role that you undertake from home. Volunteers will need to have excellent skills in managing group dynamics and have a desire to support older people through encouraging and facilitating friendly discussions. All you need is access to a telephone and the internet. We ask for a commitment of up to a year where possible and the ability to facilitate the call on the same day and time each week between 8am and 8pm Monday – Friday. We’re called TwentyTwenty for a reason. Our aim is to help young people see beyond their disadvantage and disengagement, recognise their worth and potential, focus on building the skills for success, and develop a clear vision and plan to achieve sustained employment and a bright future. Create original graphics that adhere to TwentyTwenty values and promotional needs. You will either follow a given brief or, in the future, may create graphics based on your own research (all original graphics will be subject to approval by TwentyTwenty). Receive verbal feedback and a written reference for future projects following a successful working relationship. Would you like to work with girls and young women to make a difference in your community while developing your skills and making new friends? If Yes Volunteering with Girlguiding could be for you . Whatever your skills and interests, and no matter how much time you have to spare, one of our volunteering roles is bound to suit you. To help give girls opportunities for fun, friendship, challenge and adventure! Assistant Leaders work with other volunteers to assist in delivering a high-quality programme to the girls and young women in the unit, while ensuring the safety of the unit members. Assistant Leaders will have opportunities for ‘on-the-job’ learning and development. The responsibilities below will be shared among the Unit Leadership Team. As an Assistant Leader you will work with others in the team to make the most of the skills you are able to give. Any woman aged 18 or over can be an Assistant Leader. You just need to be, or must be willing to become a member of Girlguiding. Assistant Leaders will work towards an Adult Leadership Qualification and must register as members and be recorded on GO! (our online database). All Assistant Leaders are attached to a unit. At CGL we recruit, train and support Independent Visitors (IV) for children and young people who are in care. Our Independent Visitors encourage young people to demonstrate resilience and support them to gain skills required to make the transition to independent living. Volunteers are matched with a child or young person, aged 8 to 18, who needs extra support and encouragement, often because they have little contact with their own families or because it would be in their interests to receive additional 1:1 support. The IV can promote long term outcomes such as reducing social isolation, raising aspirations, increasing independence skills and provide support to build social skills, confidence and self-esteem. Do you want to make a difference in the lives of vulnerable young people? Our volunteers are fully trained and you will be offered the opportunity to gain CERTA accreditation. Volunteers are fully supported and receive regular supervision. All volunteer expenses are reimbursed. All volunteers are required to complete an enhanced DBS check and will be expected to commit to meeting with their young person for 2-4 hours per month for at least two years. A CGL mentor is a consistent, reliable person in a young person’s life, who acts as a positive role model throughout their transition from care to independence. Support is target specific as the young person will have a specific need or aim that they need to overcome or achieve. Volunteers are required to be over 18 years of age, complete an enhanced DBS check, provide two references, complete an interview and attend training to. We are looking for enthusiastic volunteers to join the fun and get involved in supporting our Playschemes and trips out for children with disabilities and additional needs. Our Childrens group are split by age into Under 8’s (4-8) and Over 8’s (8-12), you can choose to volunteer at either group or both, it is entirely up to you. Regular Saturday Clubs throughout the year, Playschemes and trips out during the school holidays, play sessions at Chester’s Den, Positive Arts Group (every Thursday evening, term time), family days out and fundraising events. We are looking for enthusiastic volunteers to join the fun and get involved in supporting our Youth Clubs and activity days for young people with disabilities and additional needs. Regular Evening Youth Clubs during term time – Girls Night, Inters, Chesterfield Youth Club & Express Yourself. Activity Day & trips out during school holidays. A Saturday Social Club – once a month. Be Active Be Healthy Group – once a month, aimed at getting our young people out in the community and staying active. A monthly youth club also takes place in the Bolsover Area. We are looking for experience volunteers who are interested in supporting young people at our Independent Living Groups, these groups help our young people to develop Independent Living Skills like money management, cooking skills and travel training. We have a SCaRT Group, Moving Forward Group and an Enterprise Group, these groups run every week Monday – Friday (except at Christmas), at the Fairplay Centre. The Royal British Legion (the Legion) is the UK’s leading Armed Forces charity, providing practical, emotional and financial support to all members of the British Armed Forces past and present, and their families. Our mission is to provide welfare, comradeship, representation and Remembrance for the Armed Forces Community. Meeting beneficiaries in Legion premises or in their homes. relevant paperwork to ensure they receive the support they are entitled to. Develop and maintain a working knowledge of services. Develop an the Legion, its mission, objectives and understanding of the statutory benefits framework, and local support services. Involved in sales of Poppy Shop items using the electronic ordering system (no cash handling), if based in a Pop In Centre, which may include restocking products. You will agree with your line manager the geographical location that you are able to do your role. Welcoming visitors to Legion premises or events. Answering queries about the Legion, including its history and the services it provides. Assisting beneficiaries to identify a range of support options available to them, using our online information site ‘Knowledgebase’. Identifying when beneficiaries need further support from the Legion, and ensuring their details are passed on to the an Area Advice and Information Officer. Develop a basic understanding of the statutory benefits framework, and local support services. handling), if based in a Pop In Centre, which may include restocking products. You will be based in one of our Pop In Centres, secondary offices or outreach locations. Supporting the effective operation of Legion systems and databases by inputting data and maintaining files. locations and resources, and liaising with attendees and volunteers. You will be based in one of our Area Offices. The My Guide scheme matches people who are blind or partially sighted with a trained volunteer. A My Guide helps the person who is visually impaired to get out and about. This could include going to the local shops, the theatre, gym or sporting events. Could you volunteer to help a person with sight loss in Chesterfield to become more independent? Gain a recognised skill, meet different people and make a real difference! Come and join the Guide Dogs team! We rely on volunteers who give their time for so many things. From the volunteers who care for our dogs, guide people who are blind or partially sighted, drive or raise funds, to those who come out occasionally to hold a bucket or cheer on marathon runners, volunteers are closely involved in almost every area of what we do. By volunteering for Guide Dogs you’ll be helping to make a huge difference to the lives of people who are blind and partially-sighted. But that’s not all – you’ll be part of a great team, you’ll be learning new skills and we promise you’ll have a lot of fun! Wherever you live, whatever your interests and no matter how much time you have to offer us, there are loads of ways to volunteer for Help for Heroes. Give talks to presentations to schools and businesses. Look after and find places for H4H collection tins. Assist with or run your own H4H merchandise stall. Volunteer at exciting events such as crufts and Tough Mudder etc..
Take part in a collection weekend at Asda, Debenhams or Moto. Run your own baking, cooking or BBQ event. Spread the H4H message in your local community with promotional items that we can provide. Pick up a cheque from a local fundraiser and pose for a quick photo. Support our mobile retail team as they travel to shows around the country. Support our street collections by smiling and holding a bucket. Become Hero Bear for the day and make hundreds of adults and children smile. Anyone can become part of our local volunteer team. You don’t need experience – all we ask is for you to be committed, passionate and enthusiastic in support of all the wonderful events and fundraising you choose to get involved with. After an initial period as a General Volunteer, you will become a Local Volunteer and then you will be able to claim travel and food expenses. You will also be invited to ‘meet the team’ days at a Recovery Centre and regular meetings/conferences. Anyone over the age of 16 is welcome to come and help. Chesterfield Museum Service is run by Chesterfield Borough Council. We tell the story of the town and local area through real objects, and we preserve them for the future. We believe that Chesterfield’s heritage is about and for everyone and we want people from all walks of life to be involved in and benefit from the heritage. Volunteering is an excellent way of involving people in their heritage and that heritage is enriched by volunteers’ contribution. Volunteering is enjoyable and life-enhancing for the volunteer, who can also develop transferable skills that may lead to employment. Be a voice for Chesterfield Museum and spreading the word in the community about its work. Research and contact local community groups and organisations. Prepare short talks about what the museum does. Raise the museum’s profile by visiting local groups to deliver talks. Come up with new ideas to promote the museum within the community. Distribute Chesterfield Museum promotional leaflets and posters in the local area. Explore opportunities for fund raising to support the work of the museum. Local volunteers are the best advocates that we could have in promoting the museum within the community. Without the interest and support of its community no museum can flourish. You will get from us; an opportunity to share your enthusiasm for the museum with others; a chance to learn new skills; the help, support and any training you will need to carry out this role. This task would be best suited to someone who has their own transport. Travel expenses will be paid. Any printed materials (eg advertising leaflets) will be provided. We know that for young lives, when the doctor says cancer, normal life stops. Cancer affects every part of life – relationships, confidence, money, school, work. CLIC Sargent care teams will fight tirelessly to limit the damage cancer causes. Volunteer required on Saturday for meet and greet. There will a bit of paperwork involved. It will involve moving scooters about. Full training will be given. Steering group roles: the group are responsible for administration, membership, communication, marketing, fundraising and more. Coaches: whether you already coach athletes with Learning Disabilities and want to know more about the Special Olympics pathway or whether you want to get involved for the first time, get in touch. Event volunteers: various events and competitions take place throughout the year where we need volunteers to help out on the day. Volunteers at clubs: help with the clubs where our athletes train throughout the year; roles include promotion, administration and being a team manager. A group open to all Veterans, their spouses, partners and children who have an alcohol and/or drug and mental health issue. This groups is looking for committee members. A help with the ‘books’ would be ideal. Cook, Chef, Kitchen Assistant, Servers and general helpers. Join our family of volunteers on Tuesdays to prepare, cook and serve homemade 3-course dinners for the local community. You will be able to take part in a variety of roles ranging from cooking to washing up to serving. All Volunteers will be able to eat for free and will be offered training. Derbyshire Victim Services exists to support anyone affected by crime in Derbyshire. We need volunteers to help us do that. We do this both face to face and via the telephone. Our mission is to help victims cope and recovery after a crime irrelevant of where they currently are in the justice system. Every Wednesday at the Speedwell Rooms, Inkersall Road, Staveley, Chesterfield, S43 3JL. Join our family of volunteers on Wednesdays to prepare, cook and serve homemade 3-course dinners for the local community, for only £2.50 for adults, 50pence for children, free for children under the age of 5. You will be able to take part in a variety of roles ranging from cooking to washing up, starting at 11.30am for food preparation. Starters will be served at 4pm and we aim to be cleared up by 5.30pm.All Volunteers will be able to eat for free and will be offered training. 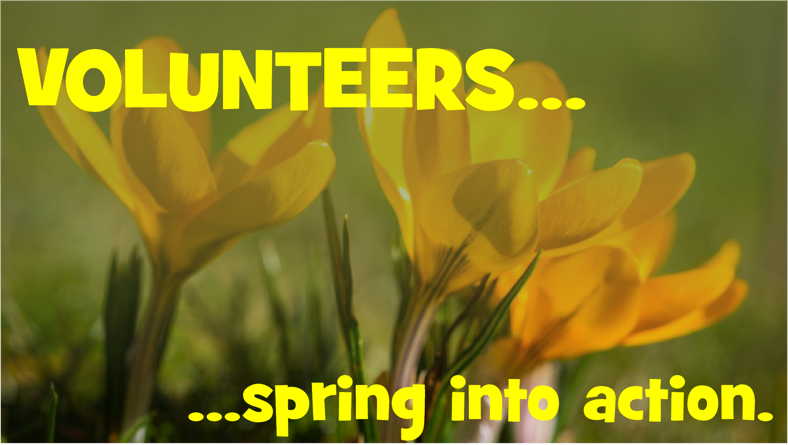 As a volunteer you can play games, read books/newspapers, do some gardening, assist on trips or take residents for a walk. The list is endless, but we are also open to any new ideas that you may bring with you to your volunteering role. You will have full support from our staff at all times and no personal care will be required for our residents. If you enjoy helping others and making a difference to other people’s lives, meeting new people from all different backgrounds and walks of life and would like personal fulfillment then this could be the ideal role for you. You need to be 18 or over. You will need to complete a DBS to which there will be no cost incurred by yourself. No qualifications are required, basic training will be provided in-house. Are you an assertive, enthusiastic person who is looking to volunteer in a role that is challenging, rewarding and worthwhile? If the answer is yes, then this is the opportunity for you! Volunteers can be aged 18 years and upwards and would also suit retired people! The role is to assist people with learning disabilities and mental health issues when they are detained at a police station. Volunteers are required to serve on a duty rota, according to when they are free and available to volunteer. The Service will be paged if the person who is in custody requires an appropriate adult to assist them. They will then go and have an active role in the situation and aid communication between the police and the person being interviewed. As you are independent from the police and the solicitor you can provide the person with emotional support, stop the interview if the person becomes too distressed and explain what is happening. A day centre open 10am – 4pm and provides support to those in and seeking recovery from alcohol and drug addiction. The centre has a timetable of activities which is regularly updated to meet the requirements of our clients. We are looking for people with life skills who have a caring approach and are able to communicate well with people. Someone who has some experience in the area of recovery with skills in art & crafts and coordinating groups. You must be over 18 years old with the ability to communicate with clients who may be experiencing a lack of confidence and motivation and need encouragement to take part and who has a flare for art and crafts and would like to share those skills. Anyone with counselling skills or able to help run group sessions. Also we are looking for an events coordinator. Also a website designer and updater, you carry this role out from the centre at a remote location. We are looking for an enthusiastic volunteer to join our team of amazing volunteers. The voluntary role is sourcing and planning weekly activities for two Friendship Clubs which take place every Thursday in central Chesterfield and Brimington. The clubs are primarily for older adults who are lonely and socially isolated and provide an opportunity for social interaction with like-minded people. Refreshments are provided and a structure of creative crafts, quizzes, guest speakers and a monthly travelling lunch club are all part of the current framework. If you enjoy meeting people, have good planning and organisational skills and a zest for creativity, with imaginative ideas, and would welcome an opportunity to be part of our established friendship clubs then please get in touch, we would love to hear from you. At Cromford Mill Sir Richard Arkwright constructed the world’s first successful water powered cotton spinning mill in 1771. These mills were the first phase in the development of the factory system and led to the Derwent Valley being described as “the cradle of the Industrial Revolution”. In 2001 its historical importance was acknowledged when this part of the Derwent Valley became a UNESCO World Heritage Site. Cromford Mills is not a museum. It is a multi-purpose site with visitor attractions and business tenants all contributing to the working nature of the site. The site is undergoing a long-term programme of restoration. There is a variety of restaurants, shops, exhibitions and a regular events and schools programme. Visitor Centre Hosts welcome all of our visitors to the Derwent Valley World Heritage Site and perform a range of tasks to ensure they get the most out of their visit, including sharing your knowledge of the Derwent Valley Mills World Heritage Site. Retail Support Volunteers; Based in the Mill Shop our Retail Support Volunteers help with the smooth running of the front of house operations of Cromford Mills. You will be helping to answer the phones, directing enquiries and occasionally operating the till while providing a friendly and helpful service for all visitors. Promotions Assistant; You will proactively promote Cromford Mills, all of our activities and volunteer opportunities on site and at local events, shows and festivals. You will engage with people about the Arkwright Society, explaining what there is to see and do at Cromford Mills and the role of the charity, whilst encouraging people to join the society through our membership scheme. Events volunteers are key to welcoming visitors and delivering a successful event here at Cromford Mills. From family fun weekends to evening talks, if you enjoy interacting with the public, then this role is for you. Costumed School Activity Volunteer; You will play a key role in the delivery of school workshops, acting in character and helping to bring the 18th century world to life as you tell stories of the history of the mills. You will help to guide the children through their workshops and activities and work with the groups own leaders to ensure that they have all of the information required and that the sessions run smoothly for all involved. Costumed Interpreter; Our small team of role play volunteers work with the general public to help our visitors understand about the lives of the people involved in the story of Cromford Mills. They wear period costume and play carefully researched and prepared roles such as mill workers, overseer and possibly Richard Arkwright himself, as more characters are developed in the future. We are a registered charity run by volunteers and we operate a Village Hall, Bowling Green and Sports Ground for community use. We are looking for additional committee members for our Board of Trustees who will help take the organisation forward. Meetings are every two months and are usually held in the either Hillstown or Scarcliffe. We are looking for a CEO. We really are a brand new organisation; we envisage the CEO dealing with incoming registration applications (on line) processing payments, banking, checking qualifications, updating registration details on line, dealing with queries, dealing with complaints if received, reporting to the Board on a monthly basis outlining registration activity, attending board meetings as required, dealing with payments, cash flow, producing budgets and forecasting expenditure. Keeping information flowing via Twitter and Facebook. An ideal volunteer would be someone that has acquired knowledge of administering a business, computer literate and who is able to work on their own initiative. We are looking for someone we can rely on who has their own set of unique skills, who is enthusiastic and keen to help us set up this new organisation and make it a great success. We on the Board of RBSLI are all working interpreters or translators who cannot run on a day to day basis RBSLI. Without the CEO the register will not succeed. This regulatory body is vital to ensure the deaf community and service providers have access to fully qualified and regulated interpreting and translation professionals. We feel this role would be a great challenge for someone who has a good range of skills and expertise who would like to move into a new area and be intellectually stimulated. This could be a fantastic opportunity for someone who would like to develop and get running an organisation in a way they know will succeed, rather than joining an established organisation with fixed ideas. We’re looking for a friendly, positive and outgoing individual to help support one of our corporate partners with their employee fundraising. This is a great opportunity for someone who would like to gain experience of corporate fundraising or account management. The opportunity is flexible so you can fit volunteering around work or other commitments. The time you will need to commit will depend on the number of activities the retail stores host. This opportunity will involve being out and about representing the charity in your local community. You may need to carry out some tasks in your home. We are looking for volunteers with experience in teaching or an interest in education to help us deliver and promote our schools project locally. We ask for a minimum commitment of three workshops per term, with opportunities to get more hands on with strategy development. We will provide training, resources and materials to support you through your volunteering. We are looking for passionate, positive and enthusiastic people to help us inspire the next generation of global citizens! Our aim is to inspire the next generation to take action on local and global issues, for a fairer more sustainable world. We are recruiting ‘Global Education Volunteers’ to help expand our schools projects. Village Aid is the Peak District’s international development charity. Based in Bakewell for the past 25 years, we work with people in Africa to define their own route out of poverty. In the UK, our schools project ‘Hands UP’ supports global learning in Peak District schools. This is an opportunity to join part of an innovative, fully-funded project which offers FREE global education workshops to children in Peak District schools. Working with an enthusiastic and motivated team of like minded volunteers, you will help inspire the next generation of active citizens to create a fairer, more sustainable world. Our Moving Forward Volunteers help us deliver our vital Moving Forward courses that help women approach life after breast cancer treatment with confidence. There are a number of different things that volunteers can help with at Moving Forward Services. The list below is not exhaustive but outlines the majority of the tasks. You would not necessarily be expected to carry out all of the tasks at every Moving Forward service. Offering support to participants if they become upset or need to leave the room. What we look for in a volunteer? You will need to be a confident and skilled communicator. We are looking for volunteers who are good listeners and are both non-judgemental and non-directive. We also need people who understand the importance of confidentiality. You may have knowledge of local breast cancer support networks which could be of added benefit to the participants at the events. You will need to attend a Welcome Workshop induction day and role specific training which will be at our regional offices in Sheffield. The Services Development team will be responsible for managing and supporting you on a day to day basis which will include guidance and instruction particular to this role. The regional Volunteer Manager will also offer additional support if required. As a member (after reference checks and attending an induction for which you receive 1 hour time credit to your TimeBank account, you will get access to a network, receive monthly newsflashes, be able to request for other members to do the jobs and tasks you cant or don’t like to do and choose on an ad hoc basis what volunteer jobs you want to do for other TimeBankers (and receive time credits). If you feel able to contribute to the strategic long term planning eg ideas/solutions to financial sustainability etc, please make it known. This is a key area where the committee are actively looking to recruit to strengthen the current skill sets. guardian, develop a tailored plan of preparation and support. of attending court and giving evidence. ● Help witnesses cope with the emotional effects of giving evidence. ● Explaining court procedures, legal terminology and decisions. they are familiar and at ease in the environment. outcomes. Going into the courtroom with a witness when it’s allowed. staff as well as liaising with court personnel. ● Working effectively with a diverse range of people. developing your skills and knowledge in the role. Seed Swap volunteer to assist current volunteer to organise Transition Chesterfield’s / Inspire Community Garden’s Seed Swap project. Repairer at Repair Cafes to fix or mend, where possible, household items brought in for repair to avoid dumping in landfill. Repair Cafes currently held on second Saturday of alternate months (Feb, Apr, Jun, Aug, Oct, Dec). Campaigner to support current volunteer on various campaigns including anti-fracking, renewable energy, divestment from fossil fuels, 20’s Plenty walking/cycling. We need reflexologists/Reiki/Yoga/Indian head massage – students or qualified volunteer. To work at the advice centre and in some of the refuges. A morning or afternoon a week. As part of a friendly team, volunteers in the Charity Shop carry out a range of duties including interacting with customers, money handling, steaming clothes and assisting the shop managers with sorting stock. Those interested in becoming a volunteer within the shop ideally need to have experience within customer service, have a flexible and motivated approach to working and are able to work as part of a team. We ask volunteers to work on a rota system so we kindly ask if you can cover an afternoon or morning or all day shift. This project run from the Volunteer Centre, is looking for volunteers to visit and befriend socially isolated individuals in Chesterfield and NE Derbyshire areas. Help is given on a good neighbour basis. We have individuals currently awaiting befrienders now. Full training and travel expenses paid. We are looking for volunteers who would be able to help at Barrow Hill Roundhouse on open days to ensure that public openings run smoothly. You can undertake a range of jobs, which may include site maintenance helping to set the site for events, car park management and assisting with visitors. This role will give volunteers the opportunity to be part of an exciting venue and gain experience in a working railway Roundhouse whilst working with a wide range of experienced and interesting people. We are looking for committed volunteers who would be interested in joining our learning team. The role will involve support and assistance during school workshops on site, as well as holiday activity support where possible. Working alongside a team of learning volunteers, the opportunity will involve full training in delivering engaging learning sessions to groups of children and young adults. Learning volunteers will have the chance to pass on their knowledge about our fascinating heritage site through fun activities and tours for groups. This is an ongoing role and will take place throughout the year, dependent on bookings. We are looking for committed volunteers who would be interested in being part of our interpretation team at Barrow Hill Roundhouse. This role will involve greeting the public on open days and telling visitors about the fascinating history of the site, whilst in character. Volunteers should be willing to carry out their role in costume, which will be provided. Volunteers required over the age of 18 years to become pen-pals to write to British nationals held in foreign prisons. Help and advice will be given to prospective pen-pals. The RNLI would like help with ‘on street’ and ‘in store’ collections across the area. It would usually be about 2 hours but can be as long or as short as you can spare. Remember we may be a landlocked county but we, I am sure, will all visit the seaside at some point.